Apps and gadgets abound today to help us sleep better. But, what is sleep tech? Can we really blindly rely on tech innovations to improve the quality of our sleep? In Christopher Nolan’s film Inception, characters have unique totems that let them know for sure whether they’re awake or dreaming. They don’t fear falling asleep but the possibility of being manipulated either by the extraction of information or inception of ideas in their heads. Cobb (Leonardo DiCaprio) and his team in the movie just use sleeping drugs to send their victim to dreamland and do their job. Hypnotics are one of the most commonly used prescription drugs in the United States. While sleeping aid medications may help, they’re prone to be abused and don’t quite solve the issue. Now, many insomniacs and those just looking to have a better night’s rest swear by new tech, specifically Sleep Tech. 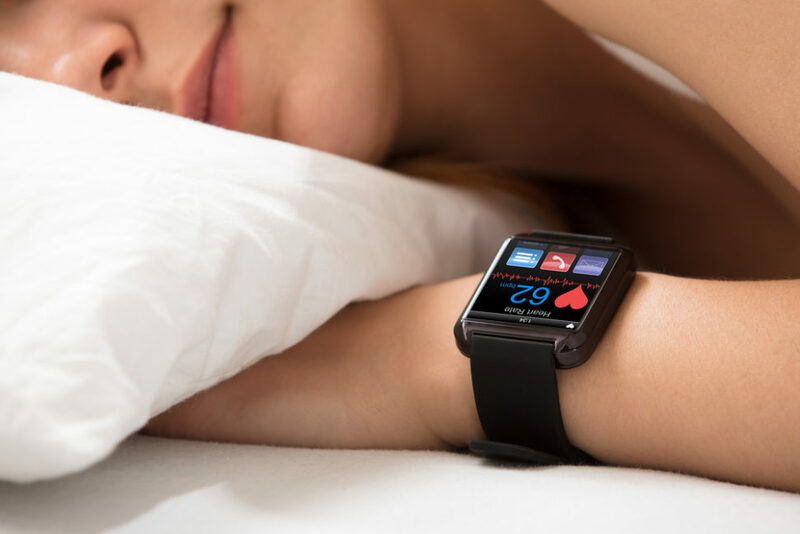 The term “Sleep Tech” encompasses hardware and software products that take different approaches to help those having a hard time sleeping get a better bedtime. This tech can come in the form of noise-masking earbuds, gadgets that emit soothing light, sleep-aid sounds or sleep tracking devices. At pretty much every CES, sleep tech is everywhere, and the trend is getting hotter. Last year at CES, Bose’s sleepbuds were one of the segment’s main highlights. CES 2019 was no different and had its fair share of sleep products. For relaxation, the showcased ASTI’s LectroFan Micro 2 creates white noise and ambient sounds for users to help with relaxation. There were also a number of other, stranger gadgets at this year’s CES. One of the most interesting we found was the Hupnos. This is a device that fits over your nose and eyes and vibrates when it detects your snoring to encourage you to move to a more comfortable position. Because many people toss and turn a lot in bed before falling asleep, or suffer from chronic insomnia, sleep tech is an evergreen niche market. But can sleep tech ensure a good night’s sleep? We love fast solutions and shortcuts through our problems. In the 1960s, it was common for people to take uppers — stimulant drugs like amphetamines — to kick off their day with a false rush of energy, then they use downers — like Opiates — to depress their nervous system into a foggy sleep. Needless to say, neither really helps and both are still in use. There aren’t really fast technical remedies to all our sleeping issues. While there are many sleep disorders to name, all sleep tech solutions seem to be doing is stressing the need for good sleep hygiene practices. In that regard, tips and tricks for a good sleep are also aplenty. What’s your experience with sleep tech? Does it work?